Black, kimono sleeve dress – Check! 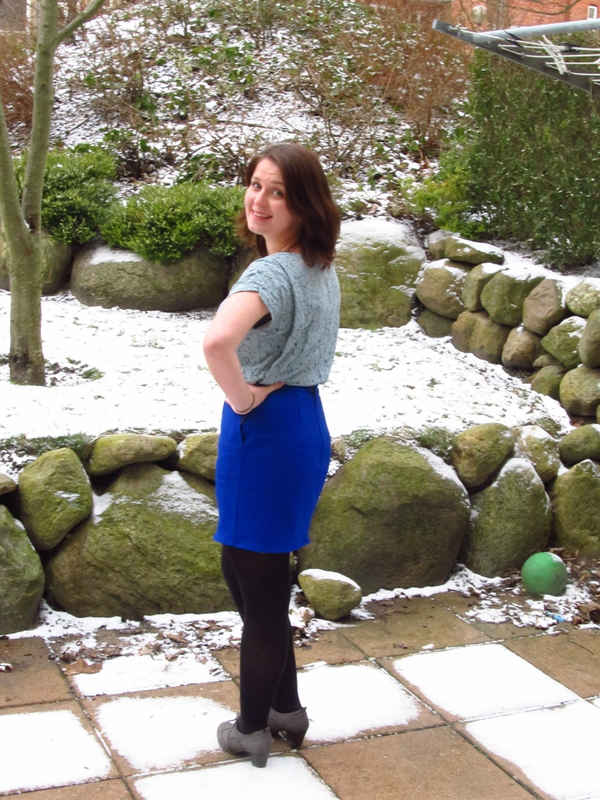 Blue wool crepe skirt – Check! 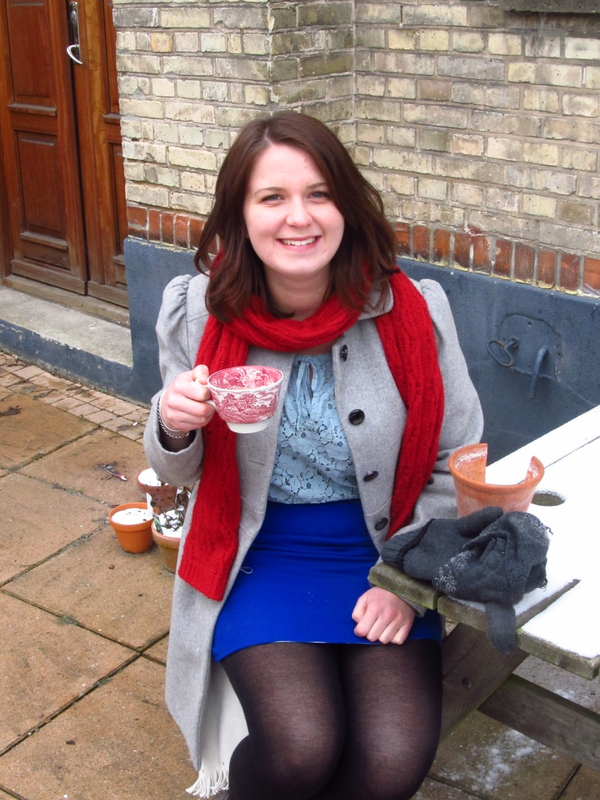 So it turns out, having a solid plan does help with problematic procrastination! 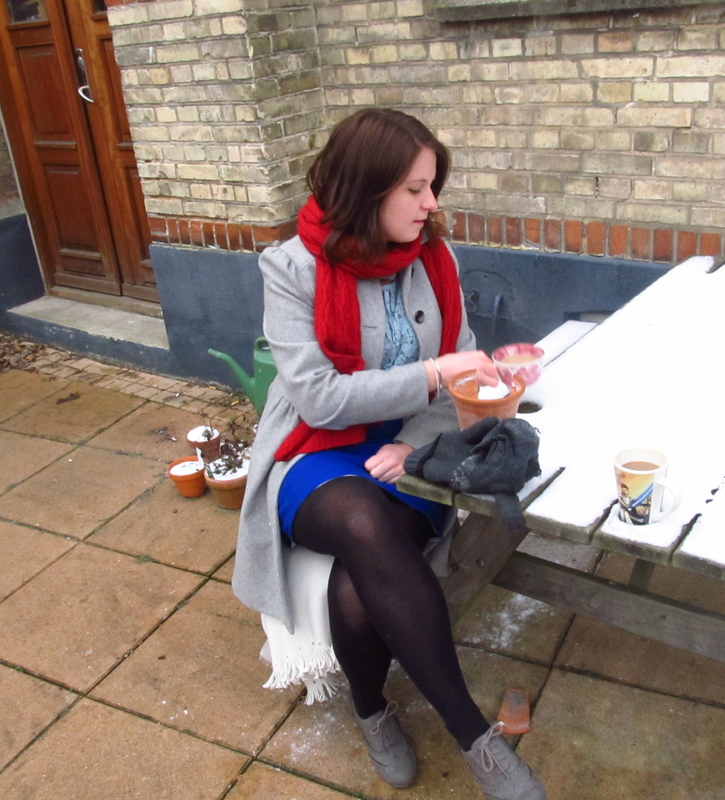 I finished the blue wool crepe skirt on Sunday and managed to convince Bif to come out in to the freezing cold to take pictures with me today. Promises of hot coffee while we were outside seemed to help. 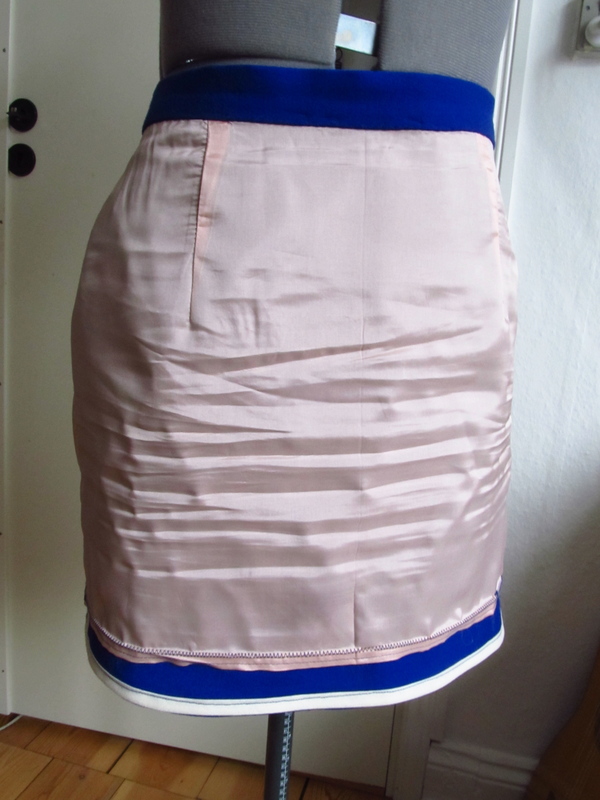 The skirt is a basic straight high waist skirt with a back zip and a lapped waist band closure. 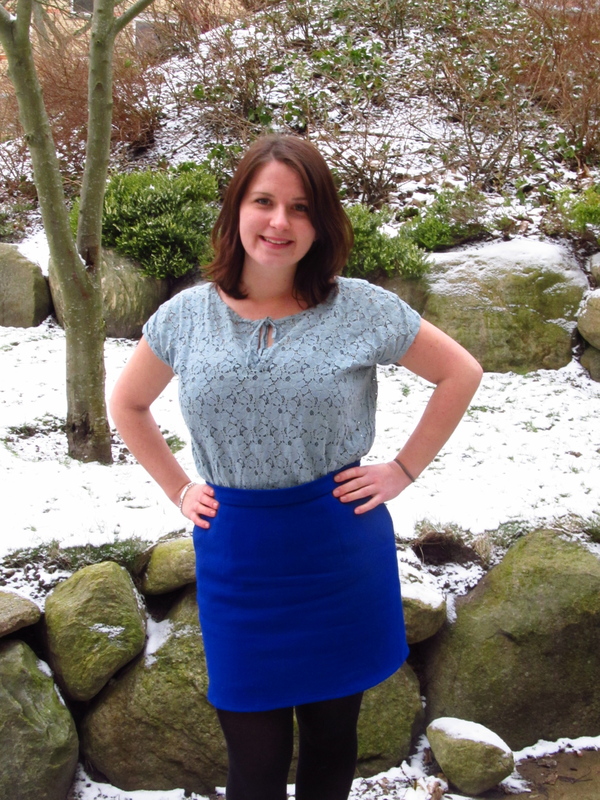 The pattern is Butterick 5015, view G. I shortened the length and graded from a size 16 waist to a size 14 at the hips. The pattern is an old one from my mother. I had wanted to make the one with the draped front (view A) but there was no where near enough fabric after I had prewashed it. 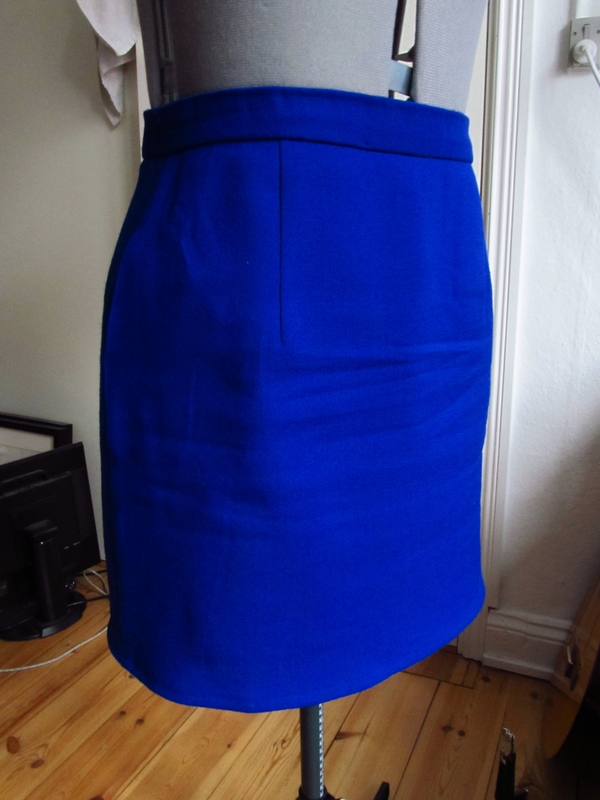 The skirt was really easy to sew up and it fits really well. After having a very big brunch this morning, it has held up well and there is more than enough ease on the hips to sit comfortably and not have to pull the skirt down all the time for coverage. 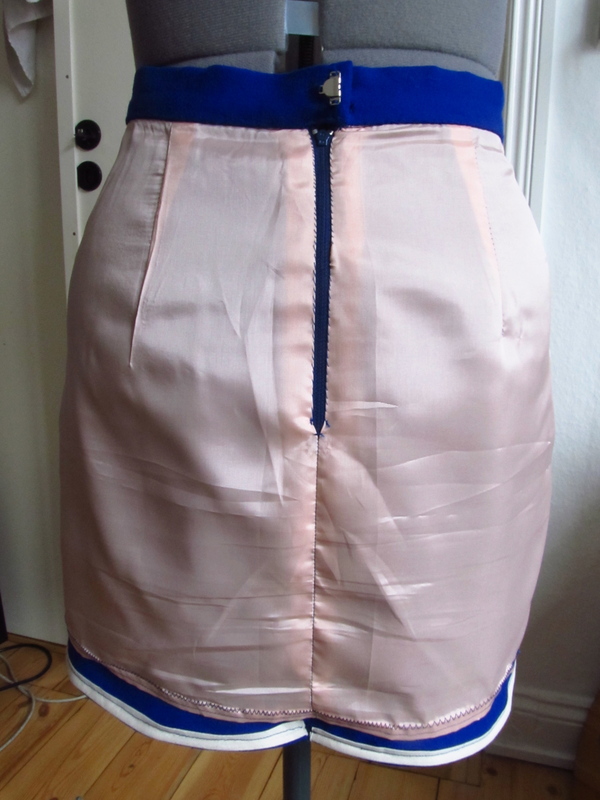 I lined the skirt with light pink polyester lining fabric and finished off the seams with bias binding. I love the effect of binding the seams. Makes them looks so tidy! 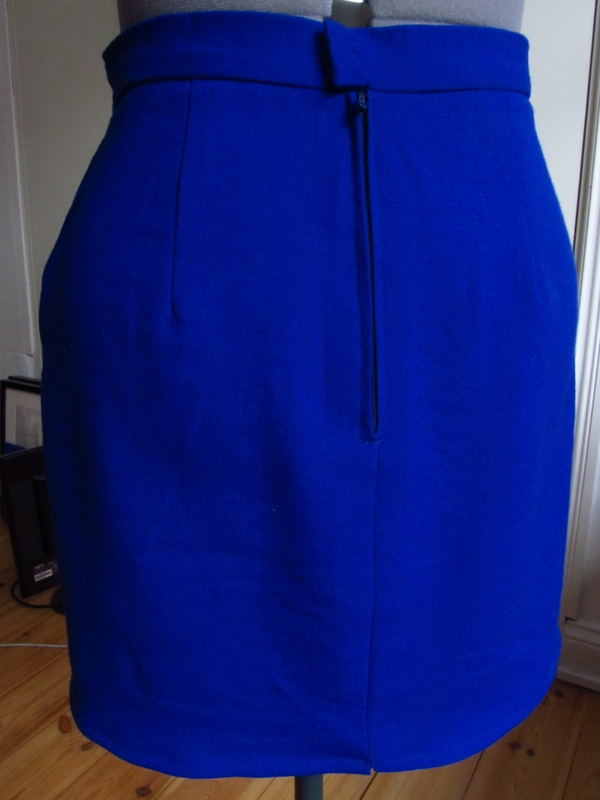 I also used the bias binding to finish the hem and hand stitched the waistband and the lining to the zip. I usually sew the lining to the zip when I am doing the outer fabric, but this worked so much better, and actually took less time because it was easier to be accurate. No unpicking! 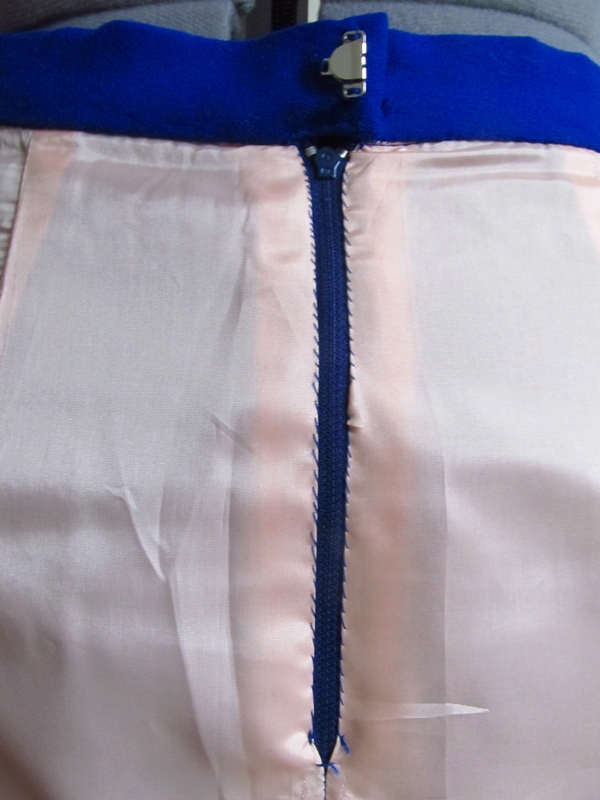 The waistband is closed with a simple hook and eye. Please excuse the wrinkles. I had been wearing it and lining is pretty unforgiving. 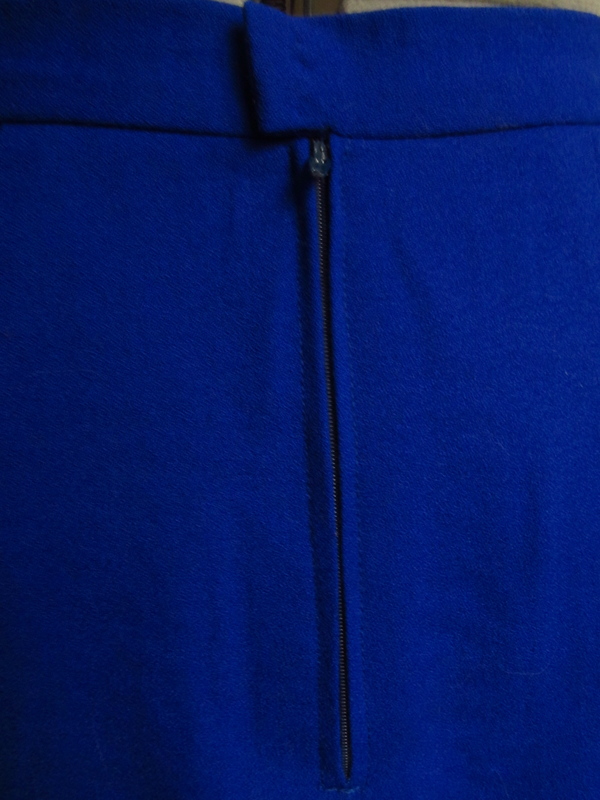 I am quite proud of how the zip looks on the outside. I did it a bit differently to what I normally do, so that you can see the stitching on the right side and tried to take my time and it looks very neat as a result. I found a book preview on Google Books, of Marcy Tiltons “Easy Guide to Sewing Tops and Tshirts, Skirts and Pants”, where there was a bit on sewing linings and zips in the preview. I am seriously considering getting this book now because it is very clear and has some pretty useful information. She says that instead of sewing darts in a lining, you just sew tucks/pleats. I have always sewn the inside the same as the outside, so I will have a go with this on my Houndstooth skirt. It also has a glossary of fashion fabrics, which when you are useless at naming fabrics and knowing their qualities like I am, could be really useful. Two seconds while I mentally prepare for the cold. 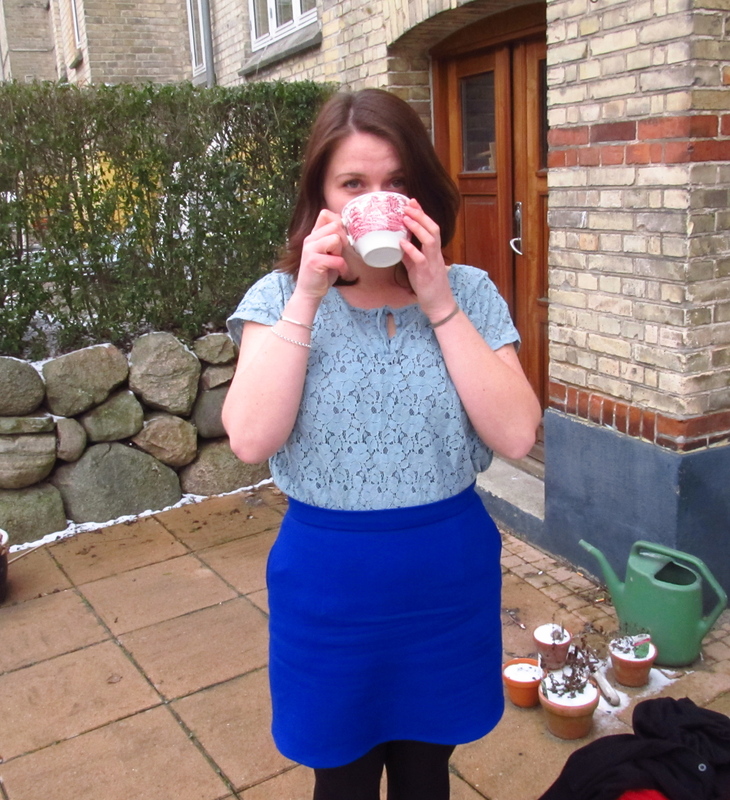 Maybe just one more sip of tea! It’s OK if you didn’t notice, my roommate didn’t, but I have had my hair chopped off! After years of trying to grow it out, the ends had become to ratty to live with and I told the hair dresser that they all needed to come off. I felt like yelling “Off with their heads!” but I feared I may scare the poor Danish lady who didn’t really speak English. It’s so light! I just need to get used to actually having to style it a bit more now. With long hair, you can get away with not brushing it in the morning, especially if after 3 hours under hats and scarves, it looks like you just got out of bed anyway. Let’s see how long it takes me to crave my long hair back. Short hair and I are still on our honeymoon. Hounds tooth skirt is on it’s way! You are currently reading Progress at A La Amelia.